KwikMed offers digital, telephone and video physician consultations. There is medicine to help you stay on track. Kwikmed.com is licensed to facilitate the prescribing of approved medications online. Sildenafil, a generic version of Viagra. KwikMed is licensed by the Utah Division of Occupational and Professional Licensing to facilitate the online prescribing of FDA-approved generics, Viagra®, Cialis®, Levitra®, Propecia®, and Chantix® online. KwikMed offers its patients expert medical advice, complete confidentiality and lower costs when treating specific medical conditions. Formally defined, telemedicine is the remote diagnosis and treatment of patients by means of telecommunications technology. What Can Telemedicine Be Used For? KwikMed is authorized to treat erectile dysfunction (Viagra®, Sildenafil, Cialis®, Levitra®,Stendra®, Staxyn®), hair loss (Propecia®), and smoking cessation (Chantix®), using our digital, telephone or video consultation process. Prospective patients select the medication they desire, answer a few questions about their medical history and then complete the digital consultation or conduct a telephone or video consultation with one of our physicians. All prescriptions are dispensed by Physicians who are fully licensed by the appropriate authorities in their state of residence. On December 11, 2017 the first generic version of Viagra® was made available by Teva Pharmaceuticals. This popular erectile dysfunction drug originally came on the market in 1998 as the first drug to treat impotence. It generated over a billion dollars in revenue in 2016 and has treated over 60 million men since it hit the market. Generic Viagra, or Sildenafil, retails at a price roughly half that of the brand and is available at KwikMed in 100mg tablets. 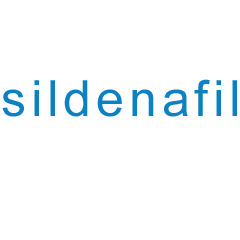 Be aware that the Sildenafil you many find available in 20mg dosages has not been approved for the treatment of Erectile Dysfunction (ED) but rather for the treatment of Pulmonary Hypertension. KwikMed has created a patient-centric approach and continues to provide an alternative to traditional medicine. We have introduced new efficiencies into the treatment of erectile dysfunction, hair loss and smoking cessation with Viagra®, Sildenafil, Cialis®, Levitra®, Stendra®, Staxyn®, Propecia®, and Chantix® that reduce costs for the patient and the health care system while improving patient outcomes. A study conducted by the University of Utah and published by the Mayo Clinic has shown that our methods are both safer and more effective in the treatment of these conditions than traditional healthcare systems. To obtain Viagra® legally, you must be issued a valid prescription from a licensed Physician. KwikMed has made ordering Viagra® online safe, secure and legitimate. Our online consultation and medical review process allows our customers to receive a prescription online from a licensed Physician and then receive medicine from our U.S. based, fully-licensed, pharmacy. KwikMed only purchases Viagra®, Sildenafil, Cialis®, Levitra®, Stendra®, Staxyn®, Propecia®, and Chantix® through internationally respected distributors and pharmaceutical companies. KwikMed is fully HIPAA-compliant and promises absolute confidentiality and privacy. We have served over 300,000 customers and strive to provide an outstanding experience for online prescriptions.